CTMH "Dream Pop" collection - - no longer available to order but I have a few extra packs in inventory - let me know if you are interested in getting your hands on one!! Come play along with us at Let's Get Sketchy! Would love to see your take on this great sketch! You rocked the sketch Carla! Love your flower embellishments! Love the colors and flowers, wonderful page! 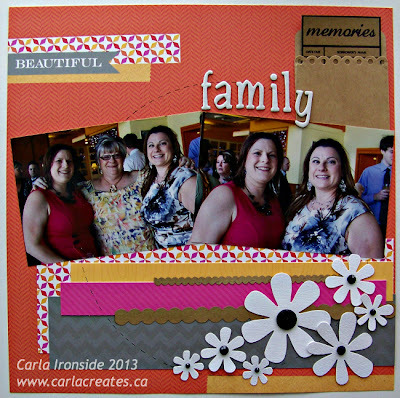 Love how you use bright color as background, Carla.